My father just bought one of these for his Arima. Is this unit designed for or a good option for someone who trolls in puget sound 99% of the time? Does anybody on here have one of these units? It should do ok. I don't have one, but read a bit about them. It is a budget version of their high end digital sonar, or "CHIRP". Because it lacks the power of the higher end unit, it will probably perform better in shallower (less than 200') depths. The only downside to them is that Raymarine left out any provision for networking them to other electronics (so no connecting them to radios for the automated distress calling, etc...) Got to do something to make folks buy the $$$$ units! Neat photo of how high resolution it is at shallower depths.... shipwreck in 30' of water. I have heard good things about the A78 model with chirp down vision. From what I have read about the dragonfly it is mostly for shallow water. Raymarine advertises the A78 chirp to 600 feet. I don't know if that applies to the dragonfly. Raymarine’s a78 is a full-featured GPS-Chartplotter and fish finder with amazing CHIRP DownVision™ Sonar technology. CHIRP DownVision lets you see fish and bottom structure like never before by delivering stunning images of underwater structure, fish, wrecks and more with photo-like clarity. The a78 also features a CHIRP fish targeting channel which makes it easy to identify both baitfish and predators. The a78 includes the CPT-100 transom mount transducer for fish targeting, DownVision™ and temperature sensing. Unlike competitive products that max out around 200 feet, the a78’s CHIRP DownVision™ and fish targeting sonar has a maximum depth range of 600 feet! thanks for the reply. I was kind of wondering if some of the benefits of the downscan or whatever those crazy detailed images are, are meant more for shallower or freshwater fishing. the Downscan almost seems like a waste of money for puget sound trolling. Is there any other better options out there? Is the Elite-7 a better option of an HDS-5? Thanks. the dragonfly says 600 feet. I am not sure if that is its max depth read or the max the downvision works. I think he would be o.k. for the Puget Sound. 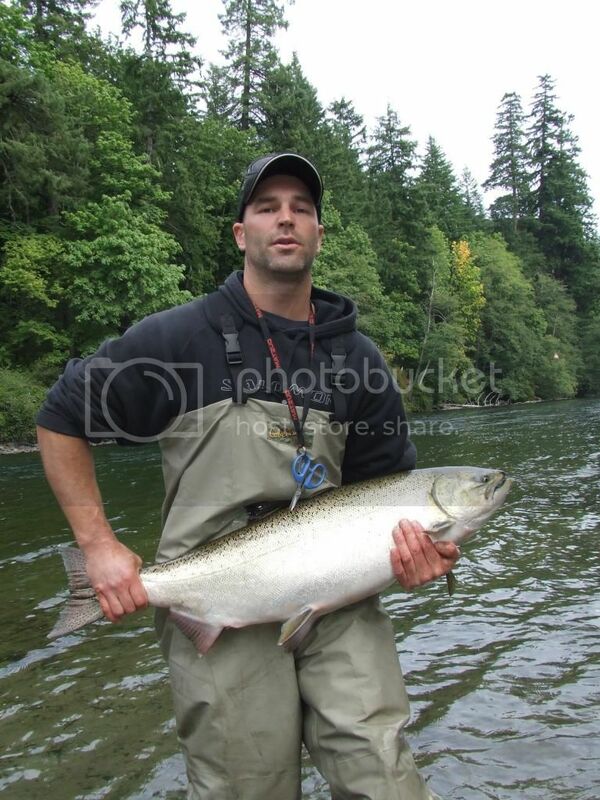 Maybe some of the homies in Seattle can chime in but most of the salmon trolling will be 200 feet or less. IMHO. I think the Dragonfly will likely outperform a lower end Lowrance unit... the Elites are fine, basic sonar's, but low powered and low res screens. I don't think they are bad units, just not designed for deeper saltwater fishing. For you guys up in the sound, I'm guessing spotting bait is more important than detailed imaging of bottom structure. I have a first generation HDS 5 and like it ok. I prefer my Raymarine A57's sonar... more target separation, and more power. The Lowrance is mostly used as a chart plotter on my boat, but it does work well as a sonar. It is nice because it is easy to network (I can display engine data off my Suzuki on it, and have it hooked into my radio for emergency calling). Between the Lowrance Elites and HDS units... the HDS units have more power, sharper screens, and with the 50/200 mhz transducers are better suited to saltwater. On the other hand, the Elite 7's have bigger screens for similar $$, which is nice for ease of use. I would not recommend the Elite units for your application. I remember reading a thread on ifish about the Dragonfly and those that had it really were impressed with its capabilities in deep saltwater. I think you guys will like it. My understanding is the same chirp system found in the a78 is also in the dragonfly. The lack of interfacing with any network and size of the unit targets a price point that has Raymarines' competitors scrambling. The lack of GPS interfacing made it a no go for me, although I like the unit. I think it would be great as a second unit, say as a fishfinder mounted on the transom area to be easily seen when running a kicker with tiller or drifting over a rocky bottom while jigging or mooching. It has a quick mount/dismount so that it could be removed quickly. Another question guys as I think my dad is going to return it. My dad does most his fishing off West Point in Seattle and is usually fishing in 600+ feet of water. The dragonfly only reads bottom to 600 ft. If it is deeper than that will the fish finder be all screwed up showing fishing fish/bait in the less than 200ft range? Anybody have any experience with one of the newer 5.7" furuno combo units? My dad is a fan of Furuno for the way they went above and beyond to fix the radar unit on his bigger boat. It should still be able to give a decent reading in the top 200'. But the Dragonfly really isn't the ideal unit for fishing deep saltwater. For that, the Raymarine A65 or E7 would be better suited to his kind of fishing. Awesome units, but more $$. No experience with those Furuno's, but Furuno makes good stuff. I would tend to rate them and Raymarine at the top of the list for saltwater sonar performance right now. If your just looking for a fish finder i had just put one of these on my whaler before i sold it, Very nice bright screen,super easy to use, marks fish and bait no problem, sharp images with good fish arches, i was very impressed. I trolled for Salmon and was more than happy with it. thanks guys. My father has a buddy that is a die hard fisherman and he likes the Garmin units as well. I may have to, have my dad look into a garmin combo unit. I see there is a garmin 547xs unit that has Chirp technology if a chirp transducer is purchased. I might have him look into that unit. I would do some more research. For sonar Furuno has been the award winner 23 years now. Most commercial boats run Furuno first, Raymarine second, and that is it. The GP1670F and GP1870F have the same sounder as their stand alone models. Match that with a nice 1KW transducer and you will have the best in the business. Heck even with the 600W is better than most units out there. I would look hard and long at the Furuno. Local business, top notch customer service and it is what the commercial guys run. I was going to run the 1670F but I got a good deal on my Raymarine and since owning the A50D a few years back I was familiar with the setup. Plus I have a CF Navionics Platinum chip I can use in it on hand. I still want the Furuno. But they have some new touch stuff coming out and I hope it drives down the prices. Keep in mind this my personal opinion. But for fisherman wanting to find fish I don't know who anyone can argue with Furuno's sounders being the best. Sorry I think this better explains their standing. Keep in mind this my personal opinion. But for fisherman wanting to find fish I don't know who anyone can argue with Furuno's sounders being the best. Period. thanks VT and others. I didn't think about it but since he has already bought the dragonfly unit from west marine he is pretty much stuck with buying something west marine caries. They don't carry furuno I believe so he is stuck with lowrance, raymarine and Garmin. After spending most of the evening looking at options I think I understanding the options but possibly more confused than I was before. The biggest problem is trying to decide if features like downscan or chirp are even worth worrying about for the type of fishing and price point we are looking at here. Is it a better idea just to find a good quality, high wattage 50/200 traditional sonar than buying a price point, stripped down version of CHIRP. I am not sure I understand it all that much but are technologies like downscan, structure scan, down imaging and side scan technologies that are more suited towards shallow, inland waterways where the bottom structure really matters? Is there good reason to use these technologies when trolling for Salmon in 100+ feet of water? CHIRP-from what I understand CHIRP is basically a multifrequency technology in one package vs just choosing 50khz or 200khz. Seems like a cool idea but are the units in the sub $1000 range actually pulling it off well. I noticed the Dragonfly CHIRP is from like 177khz-something higher. If the minimum is 177khz that doesn't sound ideal in any way shape or form for trolling for salmon does it? Elite-5 HDI-$450 without transducer or charts. advantages are that it is cheap. looks to be a 250w unit which doesn't sound good. Elite-7-This can be had with gold maps(I assume that is what gold combo means) and 50/200+455/800 transducer for about $770. The unit says it is a 500w unit. So advantages are that it has a bigger screen and gold charts already in. Not sure on the sounder quality as it pertains to marking fish. HDS-5 Gen2-$750 for unit with transducer and nautic insight. Comes with the correct 50/200khz transducer although no mention of wattage so I don't have any idea how it compares to others in marking fish in saltwater. no mention of max depth on west marine's site. Echomap 50s-~$730 with G2 maps and a nicer airmar 500W 77/200khz ducer. Problem is it says it only goes to 700' in salt. GPSMAP 547xs-$850 with G2 coastal and ducer. This unit has CHIRP tech available but would need to spend an additional $200 for the CHIRP ducer. Assuming it comes with a 50/200khz 600w transom unit. If purchased the CHIRP on this one goes from 25-210khz which makes it sound like it would be better for the kind of fishing we will be doing than the dragonfly. 2000' max depth. GPSmap 740s-About $900 with 500 watt 50/200 ducer and coastal maps. nice/big screen. Dragonfly-already talked about it. Looks good originally but just not sure it is suited the type of fishing we will be doing. I did see a screen shot of it reading about 750ft so it will read and show bottom down there but not sure how well it shows any detail or spots fish. A67-$950 without ducer(I think) but with navionics silver. With ducer it would be in the 1050 range although I see it on boemarine for $100 less. Kind of out of my dad's budget I am guessing. I wish the furuno was an option as it sounds like the best fit function wise and price wise as any of the options but unless my dad just takes back a the dragonfly and gets $700 in store credit at west marine this is not an option. What are everybody's thoughts if they were trying to spend around $750 or so on a stand alone unit for salmon trolling in puget sound? I am not sure which way would be best. I am sure all are better than the POS, super old eagle that is on it. The 547xs from garmin seems like the best option atleast based of tech and specs although it is a bit more expensive. With it he would also have the option of adding the CHIRP transducer at a later time if he thinks he wants that technology. Fishing that area one thing that is very important is a quality transducer. Due to the budget he has it would be wise to price out the Arimar P66 transducer and get what you can as a (transducer not included unit) and manually lock the max depth range to 200-250 feet and your midrange unit won't waste a bunch of energy trying to decipher things deeper than that when Salmon fishing at 20-125'. If your actually fishing for fish bellow 250' just unlock the depth to auto and realize that's as good of detail you will get for your price range and enjoy. Garmin may have changed their policy since I was shopping them but at that time none of their ujits came with a 'ducer. They are always sold seperately. Based on your explanation above. I would be inclined to buy one of the Garmin units. I believe you will get really good service from them. They have a good record of preformance for the most part. The Lowrance HDS5 seem's over priced. I would stay away from the Elites. I am still not convinced the Dragon fly would not be a solid preformer for him. Thanks again guys. Amazing, do you think the cone on the dragonfly with a mimimum of 177khz will be wide enough for salmon fishing in the sound? When people refer to the wattage is that determined by the unit itself of the transducer? The wattage (power) is based on the unit. I really don't have any real experience but have read quite a bit on the Dragon fly. I think the cone will be really good. Keep doing your research and you will get the best unit for your guy's application. AT the price point you are at you won't get every aspect covered. But you can get a good unit, made a by a good company that should meet most of your fishing requirements. For salmon fishing, side scanning sonar is a waste. The CHIRP units can be very useful. If you go with a traditional unit, you want a 50/200 mhz transducer (a 77/200 is usually means that you are looking at a unit designed for freshwater). Since he got it from West Marine, I would keep the Dragonfly and use it a couple of times to get a feel for it. Call Raymarine (their customer support is excellent) and get their advice on setting it up for the kind of fishing you are doing. Then make a decision. These units are so new, no one really has a ton of experience with them. IMO, in the top 200' of the water column they should do at least as well as a Lowrance or Garmin with a cheap transducer. Where they will fall off is in deep water applications. Of the units you mentioned, the only ones I would consider are the Lowrance HDS, the Garmin 547, and the Raymarine A65. Out of curiosity, I looked for Dragonfly owner reports on Ifish (where most guys are salmon/Tuna! anglers.) Based on these threads, I would really hold on to the unit and make a decision after testing it. Most guys who actually have them seem to like them, including guys fishing the salt. Hot Wire is a very respected marine electronics installer, who does Raymarine and Garmin units. Hot Wire's images of Tuna! marked on the troll, 180'-200' down, are very impressive. It is hard to mark Tuna! well on the troll with any unit (we are typically running at 7 mph, kicking up an ungodly froth, and these fish are zooming by at 20-30 mph). Typically fishing in 1000' to 3000' feet of water, and monitoring the top 400' of the water column (looks like he set the Dragonfly to monitor the top 240'). Bottom line for me is I would test it before making a decision. I can say from experience that a Garmin or Lowrance HDS won't mark Tuna! that clearly under those circumstances.